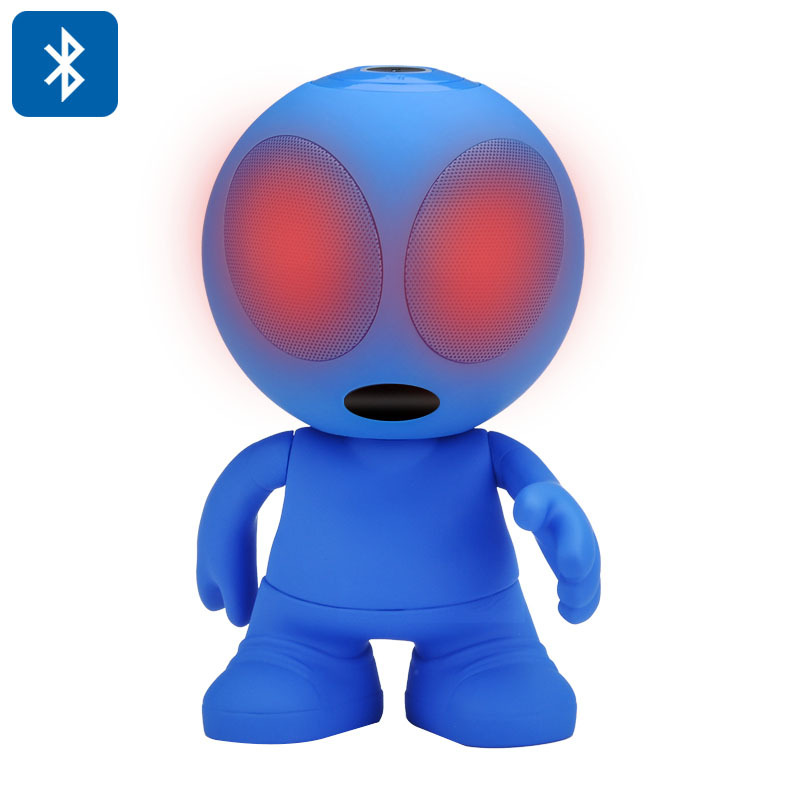 Successfully Added Portable LED Light Alien Bluetooth Speaker - HSP, HFP, A2DP, AVRCP, 1200mAh Battery, Hands Free, Caller ID (Blue) to your Shopping Cart. This cute and colorful LED speaker is shaped like a little alien and comes with LEDs to light him up as he plays your favorite tunes. The adorable Bluetooth speaker has an impressive volume with two 3 Watt speakers and allows you to play music wirelessly from your phone, tablet, music player or any other Bluetooth enabled device. There is also a 3.5 mm audio input jack so you can connect up non-Bluetooth enabled devices. When you play music through the Alien speaker its eyes will light up with colorful LEDs that change as the music plays. You can also enjoy hands free calls as the HSP / HFP protocols support this technology. When an incoming call is received any music that is playing will be paused and the speaker will announce the number of the caller so you know who is contacting you before answering, all without having to dig out your phone or look at the screen. With FM radio, Aux in, Micro SD card and USB play modes there are multiple ways to listen to your music and the current play mode is always displayed on the LCD screen. With a 1200mAh built in battery you can enjoy around 4 hours listening time and have a colorful cute addition to your party. This LED Alien Bluetooth speaker comes with a 12 months warranty. Brought to you by the leader in electronic devices as well as wholesale Bluetooth Speakers..